Your home’s garbage disposal is supposed to make cleanup easier, not more challenging. If it becomes a chore to use the disposal, then something has gone wrong internally. An experienced technician can resolve many issues. In some cases, they may need to replace the system. Once you schedule service with Emergency Plumbing & Solar, we’ll determine whether it’s worthwhile to repair the disposal. Whether we repair or replace your system, we can guarantee efficient and professional service. Jamming – This occurs when people try to dispose of large food chunks, paper products, or grease in the disposal. In case of a jam, never stick your fingers into the disposal. This is extremely dangerous. Overheating – Overheating is another common issue with modern garbage disposals. If the disposal does not hum when you flip the switch, it’s probably overheated. If you have to wonder whether you’re up to the task, don’t take an unnecessary risk. You might create the need for even costlier repairs. Instead, give EPS a call. If you have a disposal in your kitchen, you know how important the device is for cleanup. Most people use it on a daily basis. Unsurprisingly, these machines need to be maintained! 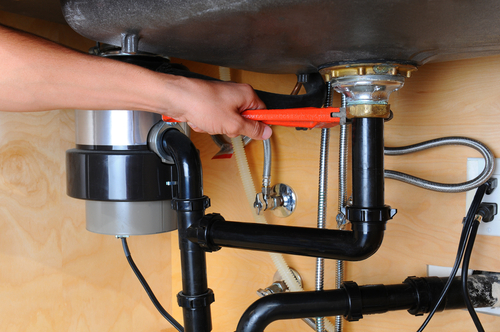 If you take good care of your disposal, you can avoid many costly repairs or replacements. Keep the disposal clean using dish soap and running cold water for a minute. Run the disposal regularly to avoid corrosion and rust. Do not grind materials such as chicken bones, egg shells, or fruit pits. To schedule garbage disposal services, contact Emergency Plumbing & Solar by calling 808-691-9309. We’ll have your kitchen running efficiently in no time! Garbage Disposal Overall rating: 5 out of 5 based on 10 reviews.